Wednesday’s WSJ had a piece on Rethinking Stocks’ Starring Role. It’s about time. Don’t get me wrong, stocks are an important asset class, maybe even the most important one. But they are just that, a large category of reasonable things a reasonable person might invest in, but not the only such category. Yet for generations, received wisdom has made it the center of individuals’ investing plans, the main course in the wealth accumulation dinner. Why? ‘Cuz the stock market went up so darn much over the last fifty years or so. (Er, uh, recent events not included. Let’s say 1957 to 2007.) I know fifty years sounds like a really long time. Long enough that you might consider it to be approximately forever. If the stock market has gone up a certain percentage on average over that long a time a person is sorely tempted to think of that as the basic nature of the beast. That’s not crazy. Generally, things that are true over fifty years are true forever. But not always. The Red Sox did win the World Series eventually. In the stock market’s case, it’s really not that hard to come up with a story about what happened in the last half-century that made the market go up in a way that is unlikely to be repeated. In a nutshell, I think it is pretty clear in hindsight that the stock market was way too cheap in the mid 1950′s. I don’t mean cheap based on what we now know would happen in the coming decades, I mean really cheap based on what ought to have been obvious to investors at the time. It took a long while, several generations in fact, for the market to get to a point where its valuation made sense compared to other asset classes. And it didn’t happen smoothly over the whole period, but in two great phases that changed the way we think about the stock market. The first was the 1960s and early 1970s, when the accumulated prosperity of the post-war era pushed the market out of the doldrums in which it had been languishing since the 1920s. It was then that thoughtful people started doing research that showed that equities were a good investment as an asset class, something that was, remarkably, not widely understood before the 1960s. And institutional investors (a term newly invented at the time) started soberly putting money in the market. And those institutions had more than ever before to invest, as this was also the period of the rise of the private pension plan. Then we had the legendary bull run of the 1980s and 1990s, the golden era of the mutual fund and the 401(k), when everybody and their brother decided the stock market was the engine that would propel them into a happy retirement. Until this time, investing in stocks was something associated with the country-club elite. (Although pension managers already commonly did it on behalf of ordinary folks.) By 2000, just about every American with money saved had a reason to check on the daily adventures of the Dow. 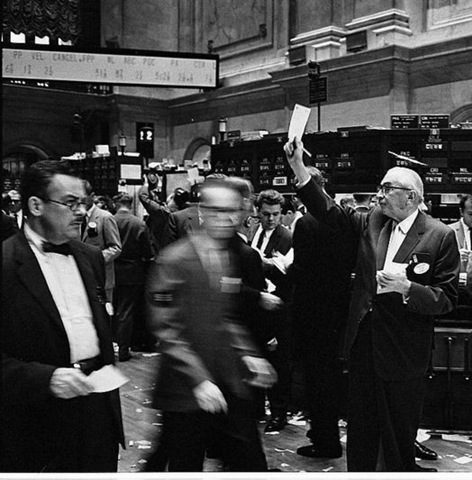 The stock market of today is not the same as the market of fifty years ago. It’s role in the economy and in our culture has massively increased. That change brought on a secular rise in the valuation of the market. And that rise is unlikely to be repeated over the next fifty years. I’m not saying the market won’t go up in the future. On the contrary, I think corporations are pretty good at making money and will stay that way. Owning a piece of the action is bound to be profitable. But part of what made money for stock market investors 1957-2007 was not the growing American economy but a systematic change in what investors were willing to pay for stocks. Given the risk level of the market, if you assume the 10% or so annual returns we got over the past 50 years, it’s hard not to conclude that stocks should be the centerpiece of your investment plan. But what if, and I think this is not an unreasonable idea, the right expectation from here on out is a lot less? What if it is, for example, 6%? I’m not going to stick my neck out and say I think that 6% is the right number, but I will say that I think it’s not a crazy one. The 30-year Treasury is yielding 4.1%, so 6% would give a decent margin to compensate for the added risk. But it would not be such a big margin that you would want to build your investing life around stocks. You’d want some, maybe more of it than other asset classes, but given the risk involved it would not be like stocks were a free lunch you needed to really load up on. And doesn’t that make sense at some level? Oughtn’t the great obvious asset classes return about the same on a risk-adjusted basis? I’d like to see the results 50 years from now, but will not be able to do that. This is a great piece, and really fleshed out the financial picture of the past 50 years for me. But, Frank isn’t it easier to put stuff in mutual funds and blindly accept that the market will go up, without thinking about whether it’s the best choice for your money? Because that’s what I want to do. Now I cannot. So thanks. Something I don’t hear talked about much regarding the last 50 years of economic trend is the increase of household wealth due to the changes in women’s employment over the time. I think of it more in relation to the housing market – which hasn’t crashed here – people seem to think that because housing has doubled in value every seven years for the last 50 years it will continue to do so. But I think that there has been a fundamental change in economic drivers over that time (more women working and in higher paid jobs) which has contributed significantly to the market. And it seems to me that that trend has to flatten off at some point. I think looking back at the last 50 years verses the next 50 years, the landscape of stock investing has changed and will continue to change. By that I mean we live in the information age. 20 years ago you did not have Etrade and yahoo message boards – people followed stocks in their newspapers once a day. Because of this, I think we will see a lot more choppy activity in the stock market (as we have seen since 2000) rather than the long bull runs we saw after the great depression. I think diversification is the key – maybe with land, gold, annuities, etc. I think there is a strong correlation between demographics and asset prices. If you look at the baby boomers age group, you can see that asset prices inflated just at the time that boomers were in their peak earning years, sucking up assets to mop up their excess wealth. So… what would be the alternative? I don’t think I’ll ever have the kind of money (or the necessary knowledge) to individually invest in local companies or buy commodities or do other forms of investing on my own. I probably choose stocks because it’s something I can do incrementally as I have the money to invest, and it’s something I can do over a long period of time. Furthermore, I can sell them off in the same fashion – in whatever amounts at whatever time I need. I agree that the stock market is due for a slower couple of decades than it has seen before, but as in individual, where else can I put long-term money? Thanks for sharing such great post, it is giving good information about stock investment. I agree with By Hybrid, this post begs for a follow-up. What *is* the alternative?? Great post. Between 1950 and now stocks became mainstream and that pumped them up. It was a big structural change that is not likely to happen again. Could there be some other type of large structural change that could propel stocks higher or lower in the next few decades? Or is there some profound structural change occurring now that will create big returns in some other investment or asset class in the next ten to twenty years?